To assist with planning your stay at The Barrington Hotel, please find answers to our most frequently asked questions below. If you require more information or assistance, contact us today and a member of our staff will be happy to assist you. Check-in at The Barrington Hotel is 3pm and check-out is 12:00pm. 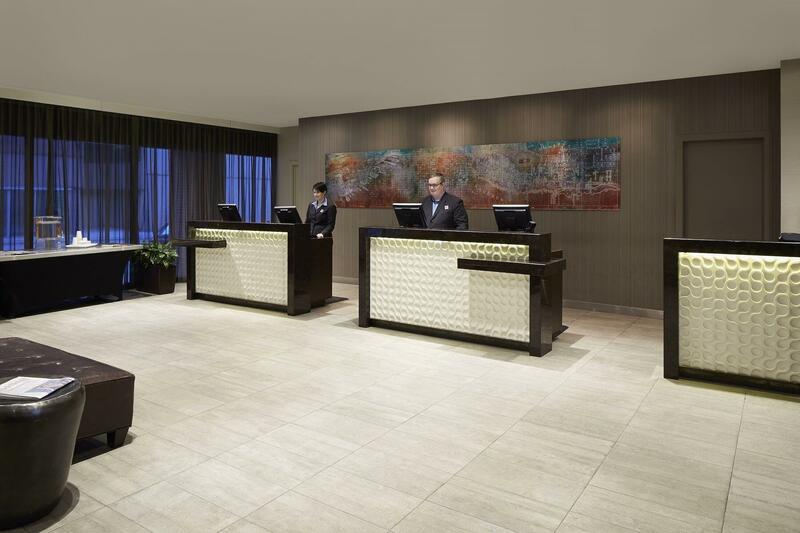 We accept requests for early check-in, late check-out and are happy to accommodate based on availability at no charge. Do you accept pets? Is there a fee? Yes, we accept a maximum of 2 pets per room and the non-refundable fee is $35.00 – No pet charge for service animals with documentation. What are the parking options and is there a fee? Yes, guests paying cash may pay cash a check-out, however a credit card is required at the time of check-in. Does the hotel collect a deposit to guarantee incidentals? Yes, a $50.00 deposit authorization is secured on your credit card, along with room and tax for the stay. Does the Hotel offer roll away beds? Yes, cots and cribs are offered and available upon request and based on availability. Are there mini-fridges in the guest room? Yes, every guest room is equipped with a mini-fridge. What are the hours of operation of the Pool and Fitness Center? Pool is open 6am - 11pm with an adult only swim reserved from 9pm - 11pm.